The vinyl is made of a high quality adhesive PVC film, which allows the material to be highly flexible and not discolour under the stretching. It’s been designed to ensure protection and give nice appearance. SALE IS FOR 2 Long Slim 198mm x 6mm STICKERS/DECALS. ITALIAN FLAG COLOURS. Red, White & Green Slimline. 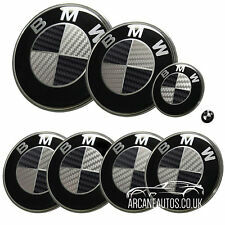 BMW BADGE VINYL WRAP KIT Carbon Fibre Black & Silver. These are Vinyl Decals professionally cut to fit perfectly on your BMW emblems, they are NOT 3D Badges. You also acknowledge that this is not an official BMW Product and is a custom made product produced using the highest quality vinyls and printing technologies. French Flag Grille Vinyls. Also available in Renaultsport colours. NEW BMW EMBLEM 82MM Bonnet/BOOT. SIZE: 82MM. 100% Easy installation, self-adhesive tape is included with the badge. Compatibility: All BMW. (This Decal / sticker is printed on White Vinyl. Pro Quality Vinyl Decal (100 grade). not a paper sticker. These Decals are printed on White vinyl and are die cut with no boarder visible. order for testing your clear coat/lacquer). Using any squeegee or credit card, begin to lay graphic down onto your prepared surface. Pull one side of decal. Remove the transfer sheet. Lay out your decals flat and go over them with a squeegee or credit card. Retro Apple Logo Sticker. Make your apple product retro. (not a paper sticker). suitable for any flat suface. Ultra Shining Gloss Carbon Fibre Pattern. ® Carbon Fibre Vinyl Wrap. - Self Adhesive. - Easy to Apply. last up to 5 to 7 years. Air drain backing to ensure a smooth application onto the vehicle. For sale red Type-R style logo badges for Honda. We can also wholesale this item. SKODA Stickers. Vinyl Decal Letters Sticking to the Backing Paper. Vinyl decals that have text must be removed from the paper very carefully. THIS IS NOT A DEFECT/FAULT. the colour that you require. Blue, White & Red Slimline. TO GIVE A RAISED HIGH GLOSS FINISH. FRANCE flag stickers/decals. to view more of our products. X2 SHROUD WOLFSBURG LOGO GRAPHIC - 55mm X 37mm. 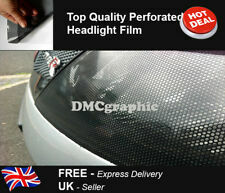 SHROUD GRAPHICS TO FIT VW GOLF MK4 (May Fit Other Models). These stickers will stick to any smooth, non-porous surface allowing them to be used for many applications. Sliver and Gold Vinyl change tone with light. This is a great precision computer cut vinyl graphic which would make an eye-catching addition to your cars mirrors. Made from high quality 5 year exterior grade glossy vinyl. Starwars - 'The Empire Doesn't Care About Your Stick Family' Vinyl Sticker. WHITE vinyl as standard (white looks best on glass but other colours available upon request ). Made from quality 5 - 7 year exterior grade vinyl. Ford Mondeo MK3 2000 - 2007 (back). FORD Mondeo Mk4 hatchback / sedan / estate 2007 onwards. Ford Fusion 2002 - 2013 (back). FORD Kuga 2008. FORD Focus C-max 2003 - 2007. [2010-2012] MK6 Golf/GTI. [2005-2009] MK5 Rabbit/GTI/R32. [2001-2004] MK4 Golf Polo Lupo. VW carbon inserts. Simply peel the sticker from its backing and hover the sticker over the place you want to apply it. In colour. A pair of old style, Ford Badges. not a paper sticker Can be applied wet. Machine cut to shape. 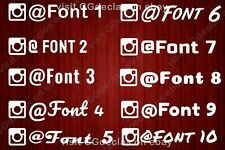 Pro Quality Vinyl Decal (100 grade). Racing Decals. if required. Stickers can be clear coated or lacquered. SILVER SMALL SYMBOL MIRROR DECALS STICKERS GRAPHICS PAIR. Vinyl change tone with light. Made from high quality 5 year exterior grade glossy vinyl. This is a great precision computer cut vinyl graphic which would make an eye-catching addition to your cars mirrors. Pair of Agip lubricants stickers 4"
Black M3 Adhesive Boot Badge. 2 pcs. Mercedes-Benz logo badge sticker. 30mm. Domed 3D Stickers/Decals. We'll gladly help you. Thickness approx. The stickers may be used on any flat or slightly rounded surface, suitable for outdoors as well as indoors usage. -Remove the sticker from rear of base. -Place the sticker, rub it gently and then keep it pressed for approx. Fits Front Grill Badge Size approx: 273mm x 94mm. Gloss Black Grill & Rear Emblems. 3M Self Adhesive Rear Emblem. Latest Gloss Black Edition. Must have for any owner or makes the perfect gift item for any enthusiast! 1 x "MAZDA LOGO OUTLINE" decal in. Ready to be applied to any flat smooth non-porous surface like body panels, screens, glass and more. Decal has no background with surface beneath showing through. prior application to achieve a good adhesion/bond. Toyota Sport Sticker. Black/Red, White /Red, Silver/ Red, Blue /Red or all one colour! Ideal for dry, clean, and smooth surfaces. 2x BMW M Performance side skirt stickers. 2x///M Performance sticker (Only Text ). Vinyl sticker decal with adhesive. Cutted on a automotive grade vinyl. Cutted with original ROLAND plotter with BEST Possible Quality!